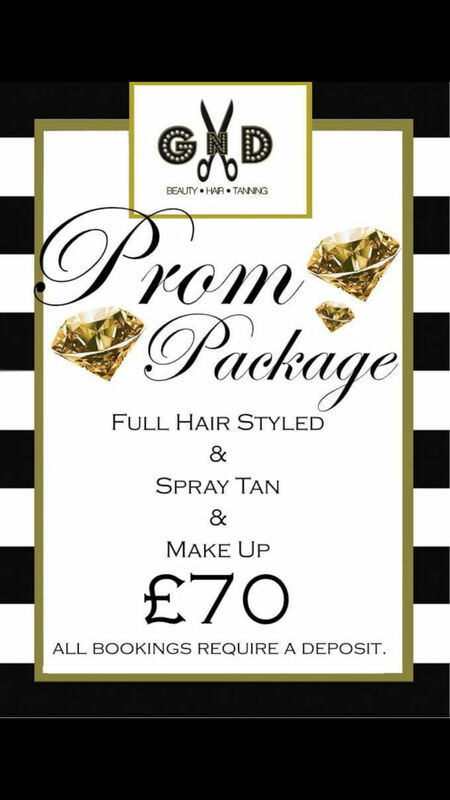 With prom season not so long away, I bet all you girlies are trying to find that perfect dress, them perfect shoes and all your hair and beauty treatments… It’s a day of perfection and you need to look your best. Guys N Dolls are here to not only offer you a selection of services, we are here to help give you the best of the best! We have some amazing prom package deals that will not only allow you to look amazing on the day, you will be able to show off your glam look at a good price. Your list may go on and on with treatments or things you need done ready for the big day. 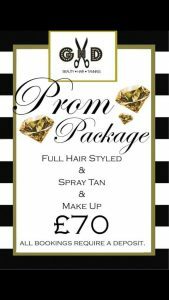 And with Guys N Dolls being a hair, beauty and tanning salon were ready to you the full works. 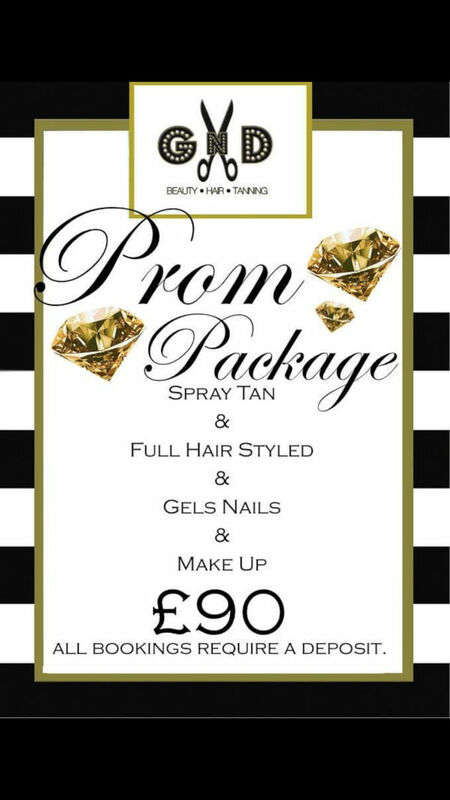 From Shellac Gel nails, Full Hair up or Blowdry, Russian Eyelashes or Cluster Lashes, Make Up or Spray Tan or many more that you can book. We hold everything here ready for you to look your best for your special day. . Please note these prices do not include trials. All hair will be set and styled to the required look you wish to have on the day of your wedding. All our bridal party bookings range from 2-3 hours in the salon, depending on styles and how many people. All trial appointments will be given a certain time frame, in this time frame we will create a handful of looks you wish to try.